The lawyers at Foley Law Firm believe in helping the people of Scranton when they are in need of expert legal representation. Our expertise in various kinds of injury litigation can be quite helpful when it comes to major auto collisions and truck accidents. Large trucks pose major hazards to people on the road. One of the reasons for this is driver fatigue and improper hours for truck drivers. Let's explore this issue in more detail. Truck drivers are meant to drive long hours on our roadways. They're essential for commerce and shipping, which is why so many companies rely on them for hauling goods along highways and city streets. Given the schedules and distances traveled, it should come as no surprise that many truck driver keep long hours. These long hours can be dangerous to the truck drivers and to others, though. A number of serious truck accidents are the direct result of improper hours spent on the road without taking a break to sleep, rest, or stretch. When truck drivers are tired, they are more likely to make costly mistakes as drivers. For instance, it's possible for truck drivers to fall asleep while they are behind the wheel, causing serious accidents from occurring. Even if a truck driver does not fall asleep, he may experience issues with delayed reflexes, poor decision-making skills, mental fogginess, and general fatigue. A large truck that strikes commuter vehicles from any angle can have tragic consequences, and we know from a number of these accidents in the past. One of the most well-known and recent truck accidents caused by driver fatigue involved actor/comedian Tracy Morgan, best known for his work on Saturday Night Live and 30 Rock. While on the New Jersey Turnpike, a vehicle that contained Tracy Morgan and several friends and associates was struck from behind by a Walmart tractor-trailer. The collision severely injured Morgan and killed friend and collaborator James McNair. It was alleged that the driver of the truck had not slept for more than 24 hours before the crash, and that he neared time that federal law permits (i.e., 14 hours of work and 11 hours behind the wheel). Morgan sued Walmart for negligence in the case given the hours that the truck driver was subjected to. The lawsuit was settled out of court in May 2015 for an undisclosed amount. Trucking companies owe it to their drivers and other people on the road to abide by all safety laws that are on the books. This means that drivers should not be forced to work improper hours, and that breaks should be scheduled and taken to avoid fatigue. Drivers should abide by these safety standards and avoid pushing themselves beyond the limits of fatigue. Trucking companies may have strong legal teams on their side protecting them from litigation. By working with the attorneys at our firm, you can receive expert legal counsel that will help you collect damages for injuries and other losses. We are here for you. 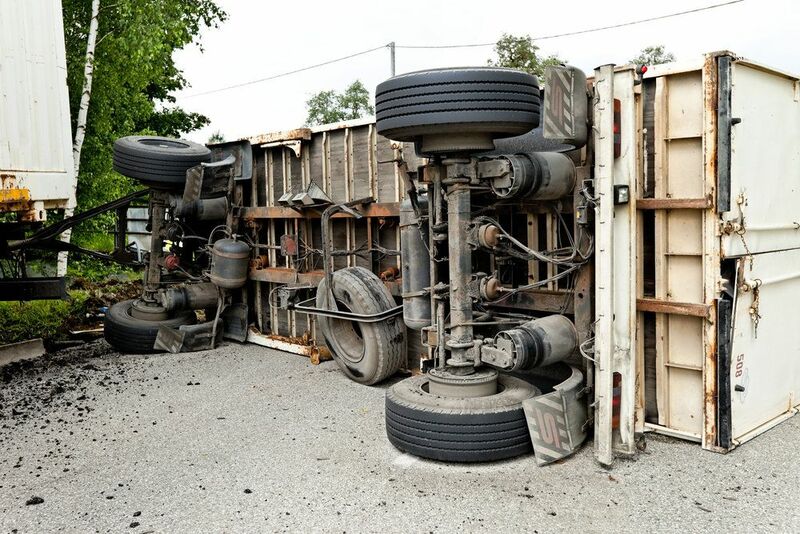 To learn more about your legal rights following commercial truck accidents and other kinds of motor vehicle collisions, be sure to contact the experienced attorneys at our law firm today. The team here at Foley Law Firm will help you in your time of legal need.